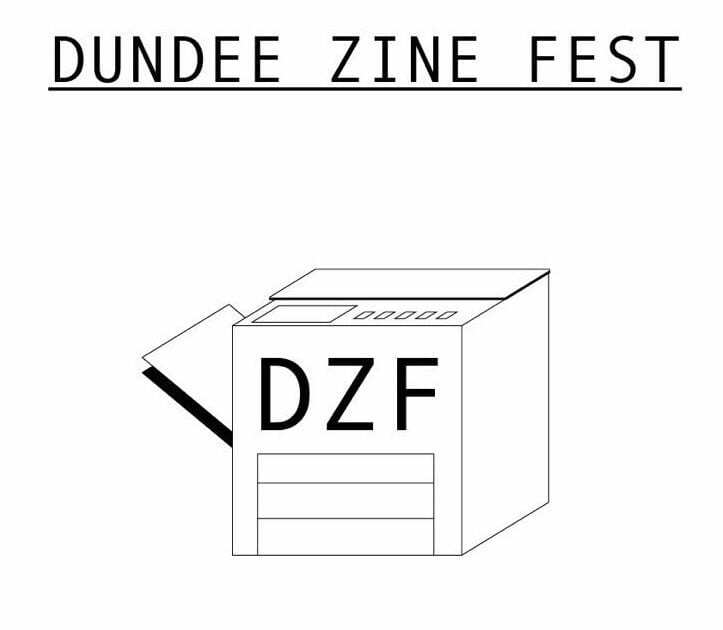 On November 3rd, the first Dundee Zine Festival took place in Roseangle Church hall. Lasting for a whole six hours, it was a creator/comic’s dream filled with numerous creators, writers and artists alike. Some shop talk: fanzines (a word coming of fan and magazine) is a non-professional and non-official publication, created and produced by, you guessed it, fans of a specific aspect of mainstream, popular or indie culture. They could be music, books, social issues or simply a couple of three-panel strips, anyone can do a fanzine about anything they fancy. I only got to spend a short time there but I still got the opportunity to chat to some creators, have some riveting conversations with other visitors and of course buy (and contribute) my slice of art for the day. Being a comics creator and fan myself, I’ve been to several conventions, and there are always several things you notice: there was something calming and inviting all over the venue of the fest. There wasn’t anything intimidating or dissuading, no hassle. Instead you could go up to anyone selling the fanzine they made and strike a conversation. Some of them are students of various levels (undergrads, postgrads, Ph.D.), others were somewhat professionals in the art spectrum and there were those who simply wanted to express something in their own voice. Fanzines are facilitating exactly that: you can express whatever you’re feeling like saying, in your own terms. They also aren’t just comics. Although they can be and usually are, they are something more substantial. Fanzines embody the ideas and sentiments of a creator on some specific influence in their life. It’s a personified homage and you could see (and I hope you will next year), to inspirations and stimulus that have stirred something inside you. There is no specific form to the way a fanzine should be and this means even more expressive liberty for anyone interested in doing a fanzine. As one of the artists showed me, the same illustrations and graphic designs for one book could turn into something oppositely different by applying to them the negative filter. Cheap coloured paper as a basis for the page could add to the impact of one’s illustrations as some artists had done. Festivals like this are important. They allow you and me to come in touch and support the artistic expression of people. They are much more humane and approachable, guaranteeing that all who participate will enjoy themselves. They are instances where you could buy something with character for yourself or a friend (I got stuck on buying some stickers and a Wu-Tang Clan fanzine). It is an amazing way of seeing that one special comic or band that shaped you on a completely different take. It was also announced on its Twitter page (@dundeezinefest) that there will be one next year and we eagerly await to see its development.